The iMac Pro is a stunner. Apple gave fans an early hands-on preview of the iMac Pro at the Final Cut Pro Creative Summit in Cupertino this weekend. The new machine is slated to go on sale later this year. Apple demoed the iMac Pro along with Final Cut Pro X 10.4 which packs some big new features. 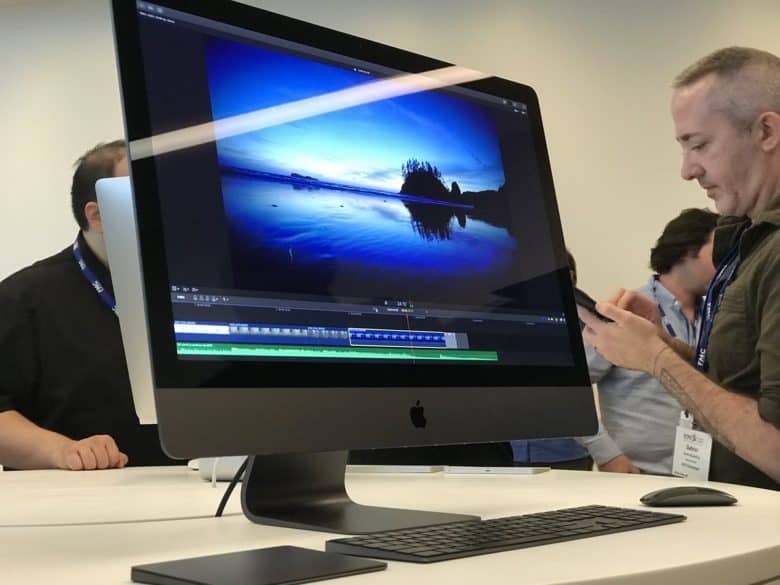 Attendees got to see the iMac Pro used for 8K video editing and virtual reality experiences during the event. Aimed at users that need a serious amount of computing performance, the iMac Pro is most powerful all-in-one computer Apple’s ever made. It’s also the first black iMac ever. The Final Cut Pro X Creative Summit lasted three days, providing training and tutorials on how to get the most out of Apple’s software. Final Cut Pro X 10.4 is set to launch later this year while the iMac Pro should go on sale in December.